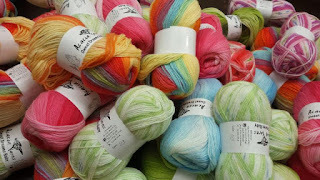 For your shopping pleasure, the Summer Clearance Event continues at 30% off select yarns and notions including select Araucania, Gedifra, Nashua, Rowan, Elsebeth Lavold, Noro, Louisa Harding, Lion Brand, Red Heart, Susan Bates, Prym/Inox and many, many more!! A new item just added to the Summer Clearance Event includes: Clover Double Fold Fusible Border Bias Tape - multiple colors available at way below retail! These bias tapes are easily ironed on to straight or curved fabric designs and eliminates time consumed in making and pinning it in place. 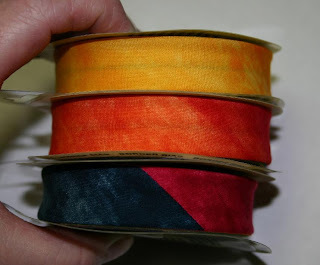 Excellent for use in stained glass quilting, Celtic, applique work or projects requiring the use of 3/4 inch bias tape. Tape is 100% Polyester and is 6-1/2yds. (6 meters) per reel which is washable when sewn place.